Tom Jones has over 30 years of professional experience in corporate finance. His career began on Wall Street in 1986 in investment banking with Prudential Bache Capital Funding where he structured and arranged financing for Leverage Buyouts and Mergers & Acquisitions. He worked for Prudential Capital in Chicago, focusing on middle-market private placements, ranging from $5 million to $50 million, in a variety of industries in the Midwestern United States. Mr. Jones worked in commercial banking at American National Bank as a commercial lender, with an emphasis on senior cash flow and asset-based transactions ranging in size from $1 million to $50 million. Prior to founding Concord in 2001, Mr. Jones worked for GE Capital Commercial Finance where he focused on asset-based and cash flow transactions, including revolving lines of credit, term loans, equipment loans, and real estate loans ranging from $5 million to $250 million. 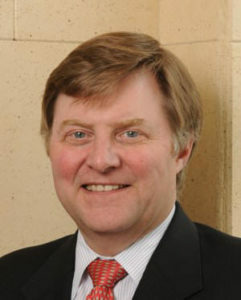 During his tenure at GE Capital, Mr. Jones worked with hundreds of companies in a variety of industries throughout the United States. He received the Prism Award which is given to the top producers at GE Capital. Mr. Jones is a native of Green Bay, Wisconsin and is a graduate of the University of Notre Dame with a B.B.A. in Finance. He is an active member of the Turnaround Management Association (Board Member) and the Association for Corporate Growth (former Board Member). He is also an active member of the Commercial Finance Association and is a current Board Member of Catholic Charities of the Archdiocese of Chicago. Andrea Joselit has over 26 years of professional corporate finance experience. Prior to joining Concord, she worked at Bank of America for nearly 20 years, primarily in their Capital Investors group working on direct private equity and mezzanine investments. During her tenure there, she helped close more than 25 transactions, mainly middle-market investments in manufacturing, distribution, services, and telecommunications. She has extensive experience in identifying transactions, performing due diligence and financial analysis, structuring and documenting investments, and managing portfolio companies. Ms. Joselit also has senior lending experience, having worked for several years in the Energy & Minerals senior lending group at Bank of America. Ms. Joselit grew up in Cincinnati, Ohio and is a graduate of the University of Michigan with a B.A. in Economics. She also earned an MBA from the University of Chicago. Gary Bilsland has over 25 years of professional experience in corporate finance with New York Stock Exchange listed and privately held companies. He served as Assistant Treasurer at Anacomp, Inc. where he was responsible for negotiating terms and conditions of senior and subordinated credit agreements. His work included building financial models used to design Anacomp’s capital structure. He played major roles in raising nearly $1.1 billion of senor debt and $900 million of SEC registered subordinated debt. He was a member of Anacomp’s M&A due diligence teams where his work included building financial models to value acquisition candidates. After leaving Anacomp, he joined LDI, Ltd., a private equity company, where as Treasurer he raised over $500 million of senior credit in both cash flow and asset-based structures. He additionally was responsible for all of LDI’s property and casualty, interest rate and foreign currency risk management activities. Mr. Bilsland most recently was Vice President of Finance at Hulman and Company, the parent of the Indianapolis Motor Speedway, where he was responsible for all financial operations of the company. Mr. Bilsland holds an MBA in Finance from Purdue University’s Krannert Graduate School of Management and a Bachelor of Science Degree in Industrial Engineering for Purdue University.